The closing of a residential property is a long, complex process. It however is one of the most rewarding, exciting processes of your life. The first step is the loan application. The completed application will determine how much money you can borrow based on your income and existing debt. That said, the application is no guarantee that the buyer will be approved; this is why it is important to be as complete and accurate as possible when filling the application out. The application can also help a buyer to set a realistic budget for their home search. The bank or group that is financing the loan will then compete lender verifications at this point to ensure that your income does indeed match what is listed in the application. They collect W-2, pay stubs and tax returns usually for the two previous calendar years and current bank statements. They closely examine all of the buyer’s debts by looking at current billing statements. Verification must be completed by the lender prior to appraisal of property takes place. An appraisal is an estimate of the quantity, quality, or value of something. The process through which conclusions of property value are obtained. The collected data is analyzed by licensed appraiser to provide a close approximation of a property’s value. The general data considered in appraisal includes nation, region, city, and neighborhood data and information. Specific data refers to individual properties land and site conditions and improvements to the land or site. Three sets of data are used to most closely approximate land value. These three approaches are: sales data, cost data, and income/expense data. The appraiser first determines the best use of the land, estimates a land value, and then utilizes all three approaches to best estimate value. The appraiser takes all the information and data recorded and uses it to reconcile estimated values to form their final value estimate. Once an appraisal is completed, an inspection of the property may take place. Once the previous items are completed then the inspection takes place. Inspections are most commonly conducted by trained and certified inspectors who prepare and deliver a written report of all findings to the buyer. This report covers most anything that can be seen with the naked eye but not anything inside of walls or other issues that cannot be seen directly. The inspection usually happens within 10 days of acceptance and is a way for the buyer to verify that the property’s condition is consistent with the marketing materials as it was listed. If anything needs repair this is an opportunity for the buyer to further negotiate with the seller on those items. Once renegotiation is done, loan underwriting can begin. Lenders use loan underwriting to determine if the risk of a mortgage loan to a proposed buyer under certain, set terms is acceptable. Most risks considered fall into three categories; credit, capacity, and collateral. Lenders create guidelines and computer models to analyze aspects of the mortgage to help the underwriter, but the final decision and how the final decision on loan is determined by the underwriter and not the bank or lender. The “Credit” category is when the underwriter uses credit history of buyer to review how well a borrower manages his current and past debts. The “Capacity” category is when the3ew underwriter looks at the buyer’s income analysis and refers to a buyer’s ability to make their loan payments. The underwriter analyzes buyer’s employment history, income, and assets to complete capacity part of process. “Collateral” refers to buyer’s current property, value, and the use of the property. The underwriter uses debt to income ratios, liabilities, loan to value ratios and any other tools that help the underwriter most closely approximate a buyer’s ability to complete the loan. The underwriter uses all the information and data to determine the risk of the loan as a whole and accepts or denies the loan application. After underwriting is complete the title company will take out a title insurance policy. The title insurance company reviews public records to determine whether title for property is insurable. A policy is issued to cover title from past events and not future one’s. The insurance company is not liable and will not pay for any damages occurring due to stated exclusions. There are two different policies available for the buyer and seller, and these are called a lender’s policy and an owner’s policy. 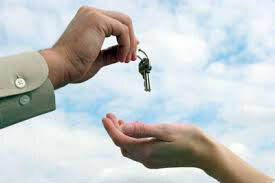 Once title insurance is taken care of, a commitment can be obtained by the buyer. When a buyer gets a commitment, it is a mortgage/loan commitment that helps present buyer in the best light possible because the lender will give you a letter signifying they have pre-approved your loan for a mortgage. This commitment is not a definite pre-approval and differs slightly from that, but is the best a buyer can do at this point and when buyer shows lender letter they have received they would be viewed as a more likely buyer than someone who does not hold a lender letter for commitment. Once a buyer is chosen by the seller, the loan approval process begins. Loan approval takes place when the loan underwriter approves the loan or approves the loan with conditions. There are some loans where the underwriter will outright approve the loan, however most likely the underwriter will have a few conditions they would like the buyer to meet or complete before they will approve the loan. Once a buyer takes care of all conditions and gets approval they can then lock in an interest rate and loan terms so that rates and terms are locked in and changes in rates cannot then be changed. Buyers must satisfy all items on underwriters checklist of borrower conditions to ensure their loan will be approved for closing and so document preparation can be completed. Document preparation occurs when escrow receives loan documents from lender and prepares them for the buyer to sign along with final statements and documents. This step takes all documents and forms up to this point and properly organizes and prepares them to be signed and filed. This step comes right before the escrow signing of the documents. At escrow signing the buyer and seller will have many official documents to sign. Buyers and sellers should carefully read everything they are signing, for what they sign will be official and any terms and rates listed will be the terms and rates for the life of the loan. Escrow officer will prepare new deed and send it to the county recorder. Buyer will then pay their down payment and closing costs. The recording is the act of placing all documents in the public record. Each state has their own specific rules that must be followed. Interest in land must be recorded in the county where the land is located to serve as public notice. Disbursement of any funds including interest is done upon receipt of joint written instructions from buyer and seller directing escrow agent to disburse funds to said party. At this point in time all steps in process are completed and buyer takes possession of the property. Whew, told you it was a long and complex process.